The traffic administration authority in Dallas found an abandoned yellow Lamborghini on the Dallas North Toll-way early Monday. 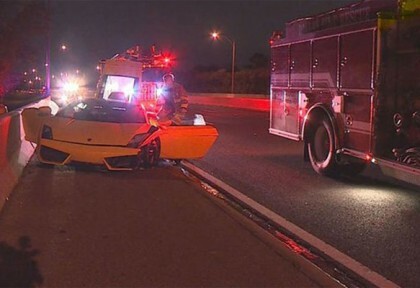 This was the Lamborghini Gallardo LP-550 that crashed into a concrete barrier, before the driver fled the scene. Initially, the car was unidentifiable, as it had no license plate or any other information inside the cockpit. 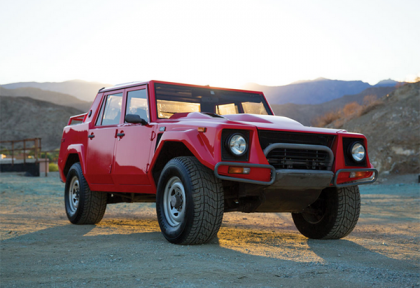 A rare Lamborghini SUV, LM002 will be shown at the upcoming RM Auctions Arizona in January 2015. Although the Italian automaker is known for its fastest sports cars in the world, this stillborn SUV shows the company’s proficiency in the SUV segment. The concerns of those who wondered whether the Lamborghini Huracan will be able to replace the Lamborghini Gallardo have been quelled with the global sales of the car rising to 3000 units in just 10 months. The Huracan sales in the US alone account for one third of the total units sold worldwide. The Italian carmaker is being all secretive about the mysterious new model that will get revealed at the Paris Motor Show. 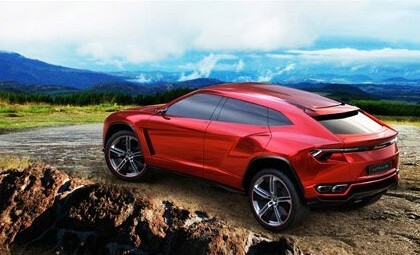 The teasers are pretty vague and all one can see is a stylish new concept with a gently sloping roofline. One can notice the rakish windscreen, integrated air intakes and muscular rear fenders. 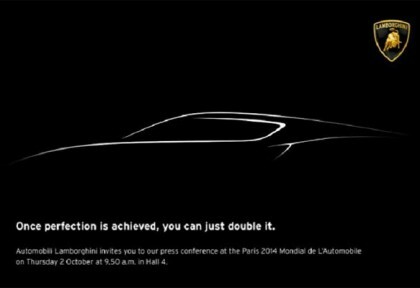 The tag line is – “Once perfection is achieved, you can just double it.” The cryptic message obviously hints at ‘double’, but what could get doubled?